You could say Stefanie S. has done a little moving in her life. A fluent speaker of five languages, Stefanie resided in six different countries by the time she was 18. 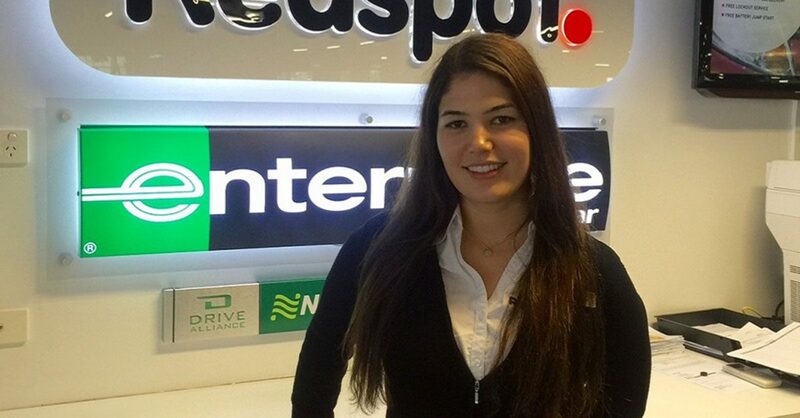 So it may have taken her a little by surprise when a couple of years ago—after finishing a master’s degree in Switzerland—she discovered a career “home” at Enterprise. The Enterprise brand had just begun its push into Switzerland when she signed on at the Zurich airport in late 2014. “We had the smallest space, but we were still convinced we would get all the customers,” she says. Stefanie credits a solid grounding in “the Enterprise way” for driving the success of the franchise. “We want our customers to be completely satisfied—because that’s what makes Enterprise different,” she says. “Back,” that is, to the country where she’d done her undergraduate studies. Born of a Brazilian mother and a Swiss father, Stefanie is a self-described “third culture kid,” someone who feels at home almost anywhere in the world. But she has a special affection for Australia—along with experience that could prove valuable. Stefanie contacted Redspot, the local franchisee, initiating discussions that ultimately led to an offer to become Branch Manager at the airport in Brisbane, Australia’s third busiest. In her short time there, she’s found the Enterprise business model travels very well.